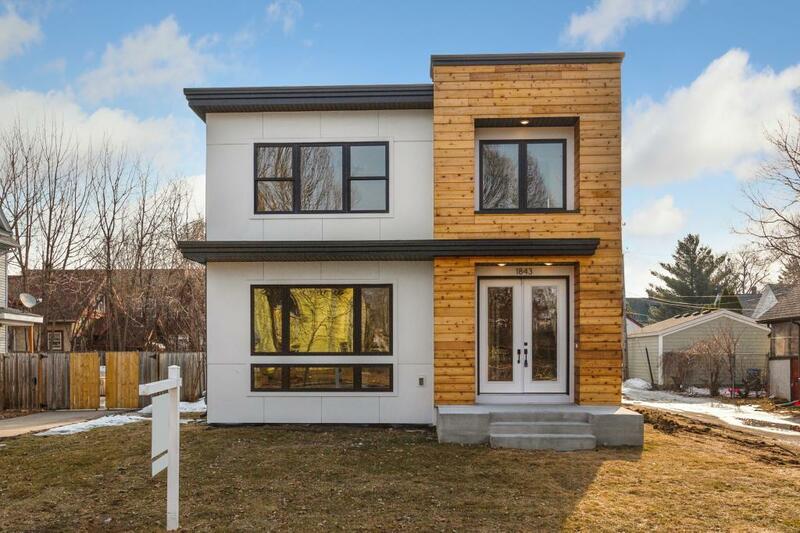 This custom home was designed and built by Northeast Minneapolis Properties LLC. A modern and minimal feel with timeless design elements throughout. From the inside/out, sleek lines are accentuated by wood tones and black metal features. The bright and open first floor features a custom kitchen, gas fireplace and a standout staircase. The 2nd floor offers a walkout rooftop deck, spacious hall bath, laundry room and a gorgeous master suite. Finished basement with 4th BR, full bath and a spacious family room. Attached 2 car garage, enery/water efficient fixtures, new home warranties and in the heart of the thriving and diverse NE Mpls Art District.